You're in the heart of River Run Village, just steps away from shopping, restaurants and local festivities. And just a four-minute walk to the gondola. Private balcony offers courtyard views and there is a king-sized bed in the master. Great experience, we will be back. Our experience was great! All of the checkin/checkout was smooth and we were so close to everything. We had everything we needed! Will stay again! 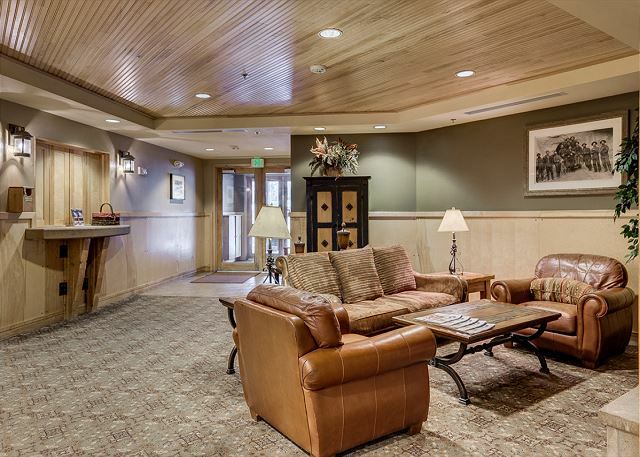 Perfect location..4 min walk to the River Run gondola, plenty of restaurants and bars walkable as well! Perfect location and size for a family. It has all that you need during your vacation. We had a great stay at the condo over Thanksgiving week. Plenty of room for parents and two kiddos. Very cozy atmosphere. 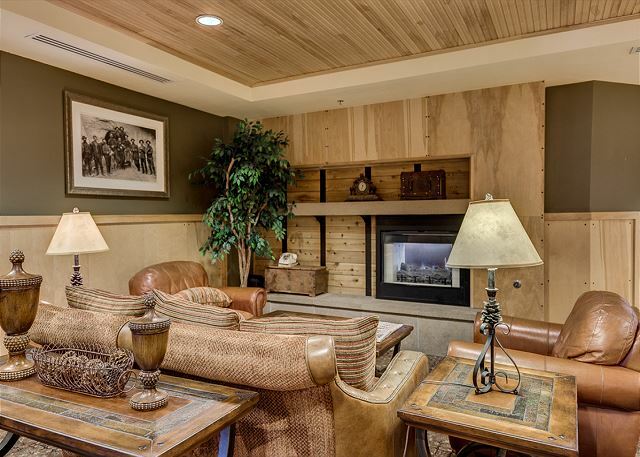 Excellent location right in the village and steps from the gondola, pubs, and ice skating rink. Only problem we had was the fireplace working off/on. The property mg'mt. was very good about sending someone out in a timely manner, but the fireplace issue was never fully resolved. Overall, great stay and would recommend/stay there again. Second time to stay at Silver Mill in Keystone. The condo we stayed in last year wasn't available, so we picked a different unit. The couch was a little worn, but not a big deal. Overall the condo was perfect. The village was going thru a renovation, but again not again a big deal. We'll be back again next year at the same time. A perfect time of the year to go to Colorado. We really enjoyed our stay for our first time in the mountains as a family. My 2 younger daughters were overly excited about bunk-bed. However, the beds were very loose. (FYI) Conveniently located in an area were we were within walking distance from all the activities...we had friends that were nearby. We were able to accommodate each other because we were close together...we will definitely come back! Thank you for the feedback. We will have our maintenance team look at the bunk beds. We're so glad you enjoyed your stay otherwise and hope to host you again! There were a few other comparable condos for rent for a lot more money. 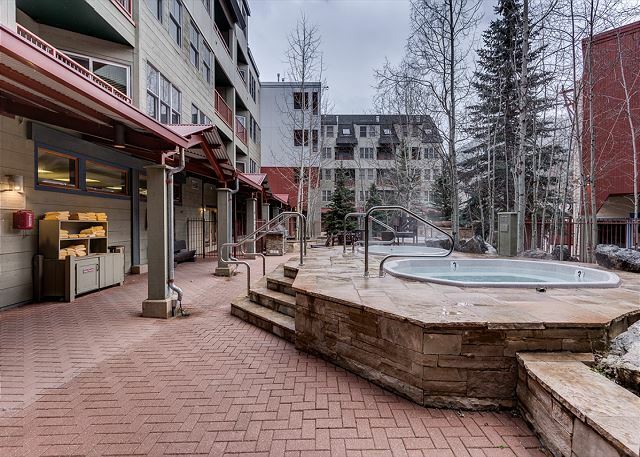 This one had all the space we needed, was steps away from 3 hot tubs, shopping, restaurants and the gondola. The condo is equipped with all of the things we needed, including fuzzy blankets for the chilly nights. The pictures and description are accurate. The condo is clean and has newer kitchen appliances. We would stay here again! 5 teens and 2 adults in town for the mountain bike enduro. This was a perfect location in the village. We were super close to everything, had the hot tubs very close to our room and relaxed in them at night. Beds were comfy and having 2 great sized bathrooms was a bonus! Had a great stay. Clean and well appointed. Nice location and easy ground level access. The unit was in a great place with access to everything. The pillows need to be replaced as well as most of the humidifiers and fans. 2 humidifiers actually emitted steam and one fan did not work at all...we like white noise when sleeping is all. Really liked the location for skiing and being in the square for restaurants and shopping. Can’t be beat!!!. Hot tub and gaming room sweet, too. Condo not much of a view, 2nd floor facing a square but, not the main one.We couldn’t get the fireplace to start even after watching the You tube video you have to link up to. There is only voice mail and email contact when trying to to get help and that takes awhile. It did get fixed. Only one of the 4 burners on the stove worked. Well appointed, comfortable beds, good towels.Only enough seating for 4 in narrow main room and looking straight up to watch TV. Update: In May 2018 the homeowner installed all new appliances. Very happy with this rental. Very clean, very well-stocked. Great location. A great experience. Our stay at Silver Mill was wonderful. We wanted to walk to the gondola and be close to restaurants and coffee, but were a little afraid that it would be noisy. This was not the case at all, it was very quiet and comfortable. Loved having the ski lockers and heated parking garage. Would definitely return. The rental was great, exactly what we were looking for. Additionally the staff at Summit County Mountain Retreats was awesome - thanks Clif. Good condo overall. Nice location, comfortable and great price for two bedrooms. I would recommend smaller dining table/chairs. They are so bulky and hard to walk around. The room really needed a deep clean. Things were dusty and there were gross marks on the walls in the master bedroom and living area. Rental company was very easy to work with. Overall, a really great place close to the mountain! We enjoyed our stay in Keystone. Our condo was clean and cozy. It was a bit of a walk to get to the pool, but otherwise a very relaxing and enjoyable experience. My guests and I had a great time. We make this trip every year and have booked with Summit everytime. It has been hassle free and extremely affordable. We will be back again next year. Overall, we were very satisfied with the stay. Location is great for skiing! The facility was very clean and the other tenants were friendly. The hot tubs were clean and felt very nice after a day of skiing. 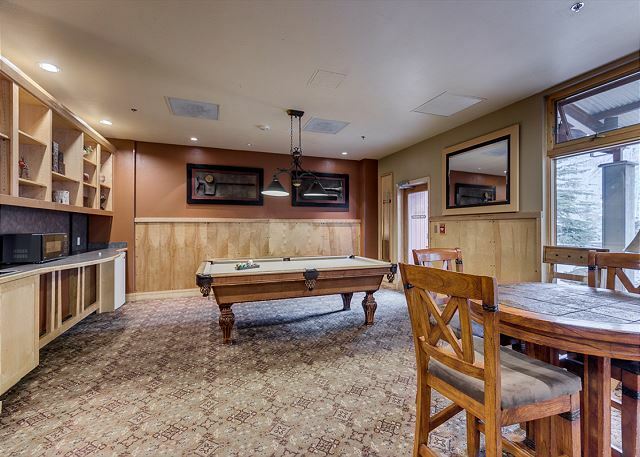 Also, the pool table and TV in the lobby is a great perk. I would recommend this place to anyone! My family loved it. It was clean and cozy. Some small issues came up but they were resolved quickly. We are renting this again next year. Nice place. We went in July so it was warm and there is no air conditioning. Overall it's a nice place. Only complaint is there is no office staff so if you need to talk to someone in person there isn't anyone. If there was, I couldn't find them. 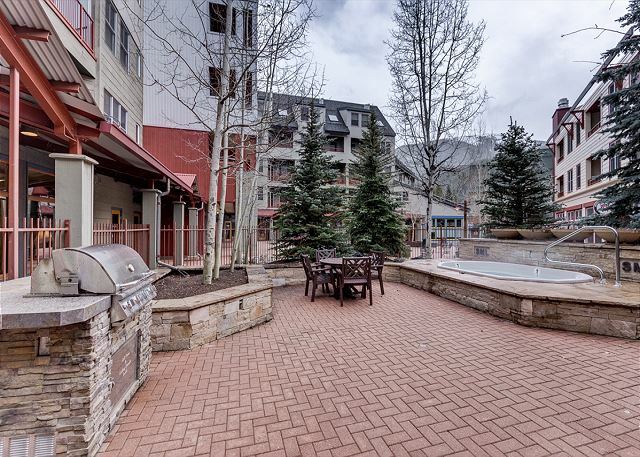 We loved our condo--right on Keystone Lake with a great patio and amazing views! Everything our family needed for a fun and relaxing weekend--paddle boats, indoor pool, hot tub, playground, and even a moose sighting! Nice place, plenty of room. Clean and organized. Stayed here during a wedding and enjoyed the place. Nice and clean and organized for what it was. Patio overlooks the hot tubs which isn't the best "mountain view" but it was still relaxing sitting out there. While we were there, there was a birthday and one of the relatives tried to get a gift or something sent up to the room and the staff absolutely refused to do any kind of delivery... that was a little disappointing. We frequently help guests with special requests, including delivering items to them. Some guest make requests that cannot be fulfilled for various reasons. 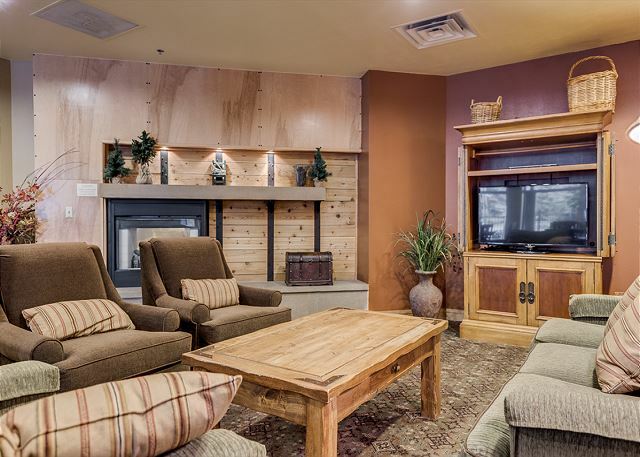 Our 4 nights at Silver Mill at Keystone could not have been better. We had a modern, clean, odor free room with 2 bedrooms & 2 full baths. When we arrived the outside temperatures had been in the 90s and the room was on the stuffy side, but we followed the instructions to open the windows and used the provided fans and it cooled nicely. We particularly enjoyed the use of the propane grill on the balcony. The wifi for our unit was excellent. Our kids used it to stream movies at night and no one complained about any of their other devices being slow. We also took advantage of the hot tubs & pool areas. (Just wish the self important men in the other hot tub realized we didn't want to hear them trying to out brag each other!!?? If we ever get to experience Colorado again I hope we can stay here again. Had a great time and the condo was just right! We had a great stay. For a family of 4, we had enough room and were very comfortable. A great experience for our first time in Colorado. 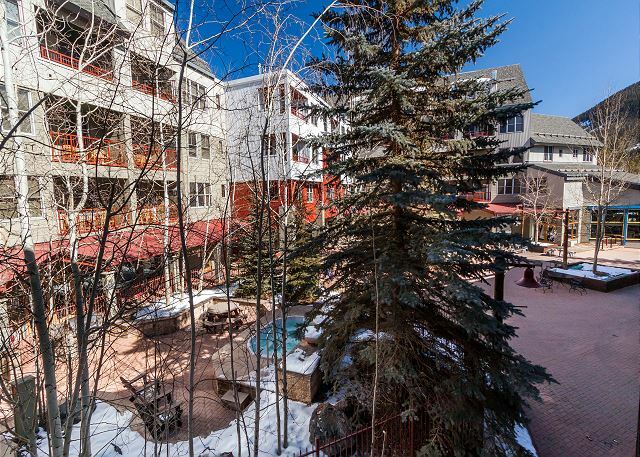 Perfect location with convenient access to restaurants, shops, lift, and gondola. Our only complaint was the fire alarm kept going off in our building during 2 days out of our 3 night stay. The location was very convenient to the ski lift. Easily walkable in ski boots. The room and amenities were excellent. Easily can sleep 6 people but the sofa pullout matress in the living room is not the most comfortable if you were to sleep 8(still has the old 2 inch thick mattress). We would definitely stay again and can't say enough how nice everything was. 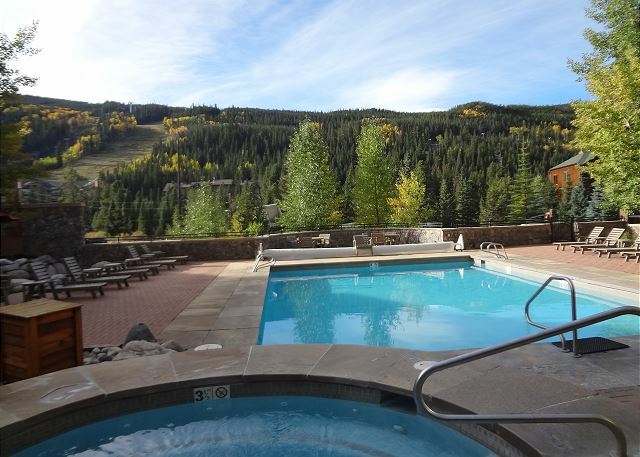 The place is ideal if you are skiing/boarding in Keystone, it's just steps to the gondola. All you need in the kitchen, plenty of space for sleeping and very clean. Only complaint would be that the living room remote did not work. 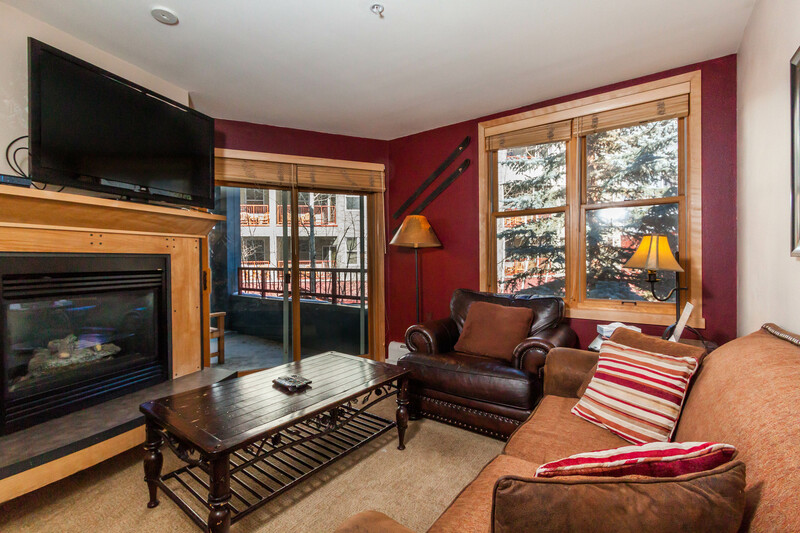 The condo is less than 5 minutes walk from the gondola, and just right at the main River Run village. This is the first time we stay in River Run, and the walk-to-lift distance is awesome! The condo unit itself is on the 2nd floor, between a stairwell and an electrical/storage room. So there is no adjacent neighbor, just 1 across and 1 above us. The kitchen, dinning area, and living room is smaller than what we used to, but enough space for everyone. The top bunk bed is a little shaky, we feel it is only safe for 1 person who is less than 140lb should be sleeping there. The queen bed is big enough for fit 3 teenagers, so we still had comfortable sleeping arrangement for a group of 8. The only other improvement we recommend is to have more kitchen utensils. There was only 1 dull knife for cutting, not enough pots and pans. Everything else is good: maintenance was quick to response (we couldn't turn on the fireplace, and the technician came in 30 minutes after we called, he fixed it in 5 minutes). 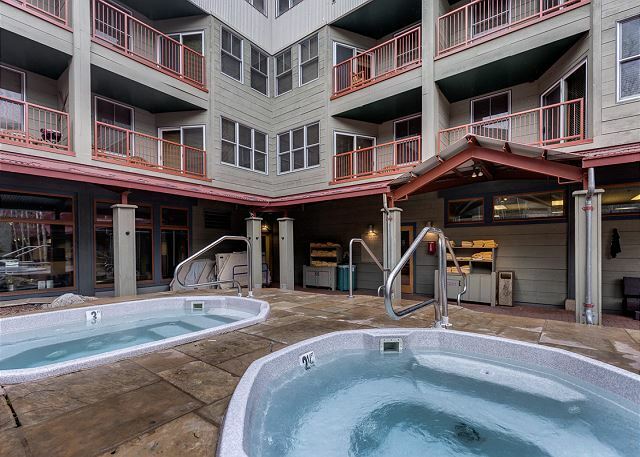 Balcony is right above the hot tubs area, and a grill is available on the balcony. Plenty of towels, pillows, clean sheets, extra blankets. 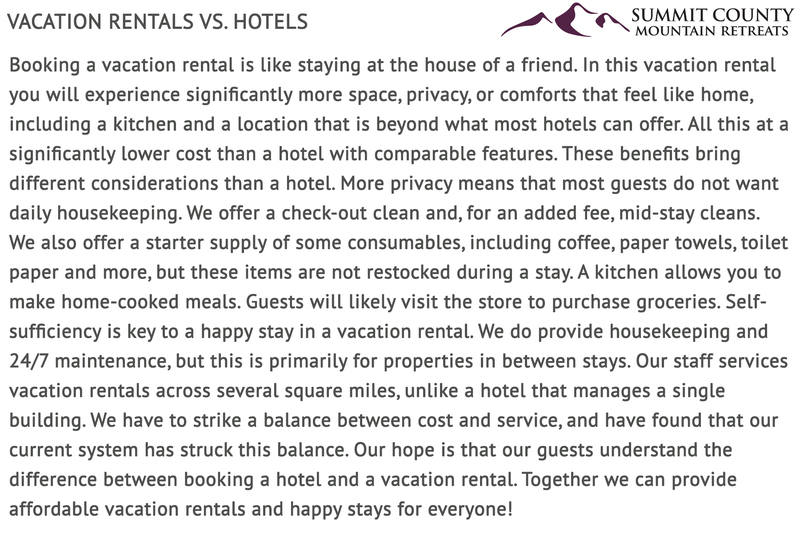 Over all, we enjoyed our stay, and would rent again if we are in Keystone. Had a few days to get in some early skiing so took a chance on this unit. Very clean, comfortable, and convenient. Worked very well for us would definitely go there again. My daughter and I loved the condo. We make our own food so the kitchen was great. The bunk beds were full size. My daughter loved it. We didn't watch much tv but they have every channel. We watched a movie on HBO ending a long awesome day of skiing. Wifi was good. Heated garage was a nice extra. Wonderful setting. Clean and cozy rooms. Room for the whole family. We had a wonderful time and enjoyed the condo very much. We will definitely be back!!! Thank You!! The location of the condo was great. Having the underground parking turned out to be important due to two snow storms while we were there. 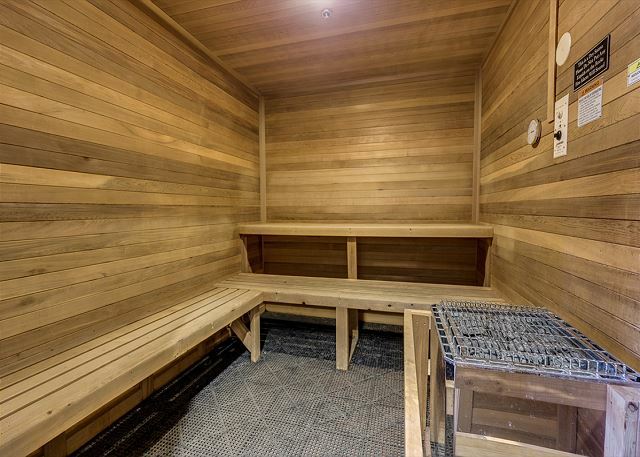 The condo had sufficient amenities for the price. I would recommend it. Great location. Close to gondola. River run area has nice restaurants and shops also. We will definately be back. Condo was very nice and slept 5 of us comfortably. The place was very clean and we had plenty of towels and supplies for our stay. There were enough kitchen utensils and pans for us to cook. The couch has seen better days and is due for an upgrade. The building elevators were down for an entire day but I have found this is common at Keystone properties for some reason. Inevitably, no matter which building we stay in, the elevator goes down --maybe it's us? Overall, a great stay. Would stay here again (and hopefully the couch will be replaced). Check in was easy and staff was very friendly. 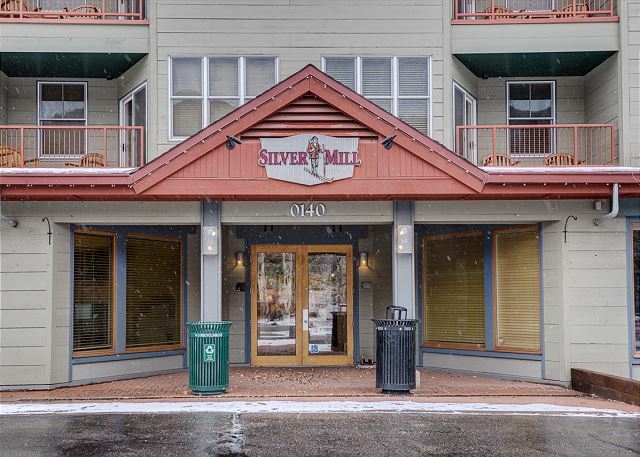 The unit was perfect and in a great location within walking distance to all River Run Village has to offer. We had a great time. 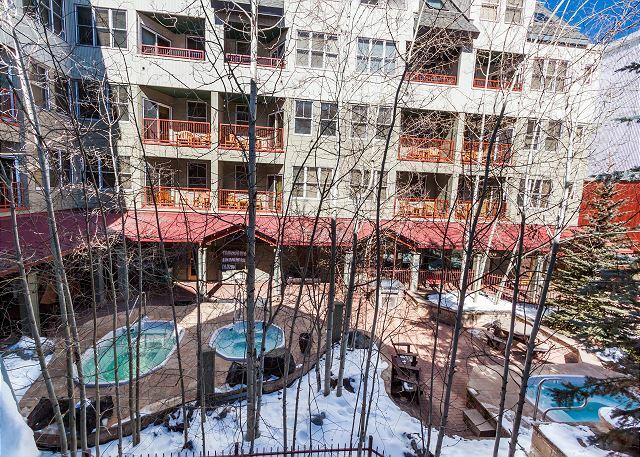 Condo was within walking distance to the slopes!! Nice condo!!! Ski lockers downstairs were small, but we made due. 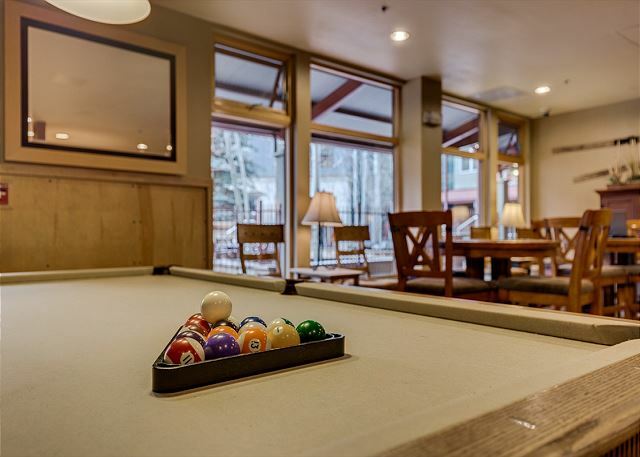 Close to Gondola, Perfect for Family...booked it again! Everything the description said it would be. Closer to the gondola than we thought. Nice surprise. Great place. Would not have stayed here without Groupon. I believe it is overpriced as compared to Winter Park village. Thank you for staying with us. Just to clarify, it sounds like you did in fact get a great deal and you considered everything excellent. So we are confused about the "overpriced" comment. The condo slept 8 like it said and it was very clean!